We are back from a whirlwind trip to Orange County, California with our two little dolls. We enjoyed fun with our family, the beach, the Dana Point Harbor, Disneyland, and a day trip to Glendale. 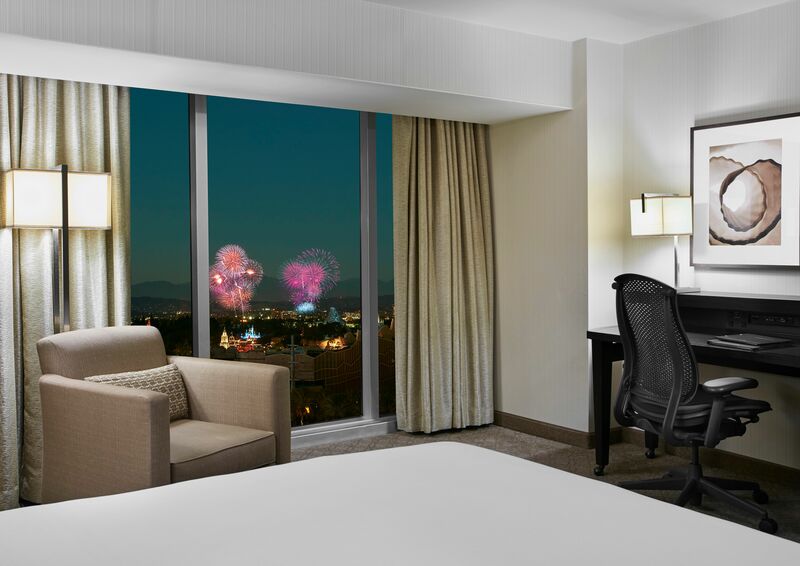 Without question, our favorite place to stay in Orange County is the Hilton Anaheim. The location is perfectly convenient to the beach and dozens of fun Southern California activities. It is also walking distance to Disneyland! 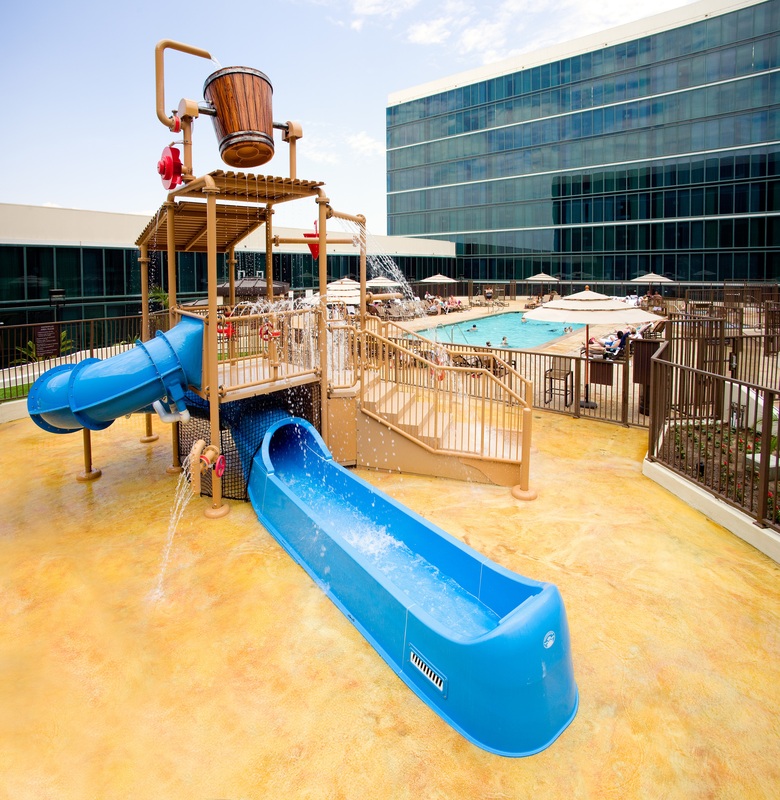 There are so many things to consider when choosing a hotel for a family getaway. A big deal for us is the pool, since we do not have one at home. The pool at Hilton Anaheim is a paradise for little ones and adults alike. They love the slide and the fun water features. We love to relax in the sunshine! The rooms are obviously very important for family stays as well, and these contemporary rooms are beautiful and updated. Most importantly, they are spacious enough for all of the kids stuff. The staff has always graciously provided a pack and play upon request. We are also big fans of the hotel’s restaurant, specifically at breakfast. The buffet is a terrific option for the whole family. Mom and Dad enjoy the made-to-order omelettes. There is also french toast and waffles available upon request. 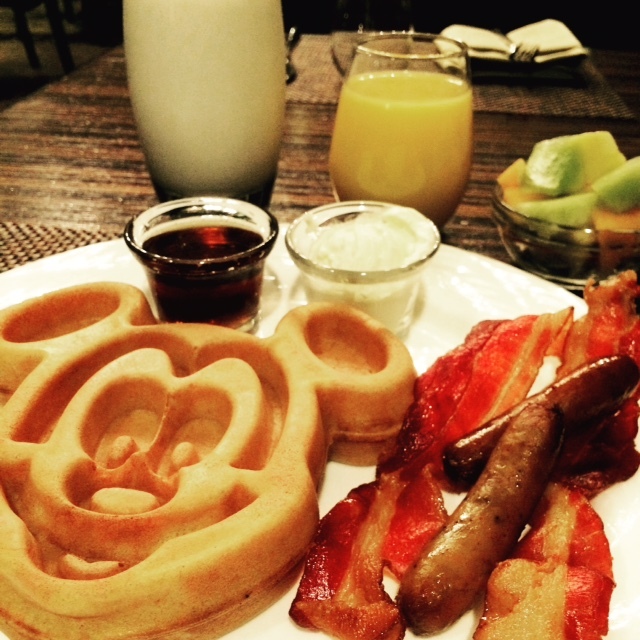 The Mickey Mouse waffles are a big hit for our little ones! 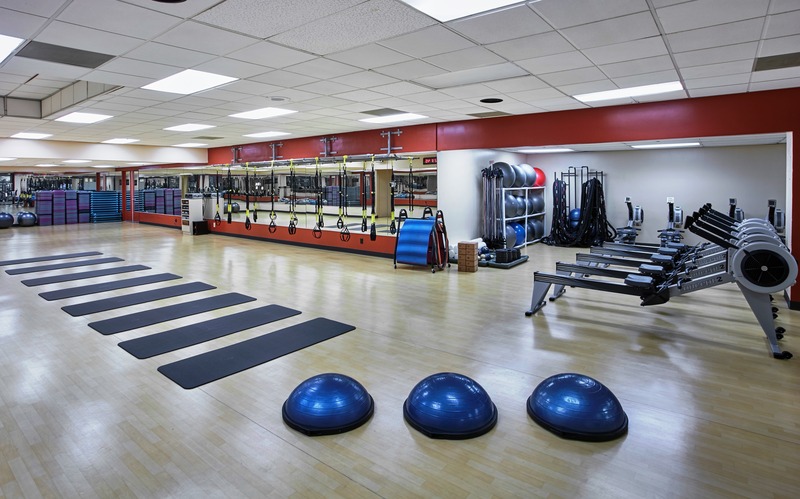 Another big decision factor when choosing a hotel is the fitness facilities. We definitely do not want to break up our routine. 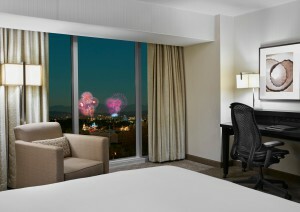 We are pleasantly surprised by the large and awesome facility available at Hilton Anaheim.